Life is filled with special moments you will cherish your whole life through. From weddings to proms to special occasions, let Colonial Gardens’ Florist enhance these memories with our outstanding service and creative designs. In more somber times, when remembering or honoring a beloved family member or friend, our florist will listen to your needs in order to create the beautiful, tasteful arrangements you and your loved ones deserve. With over 50 years of experience, we value creating lasting relationships with our customers – because you deserve the best, no matter what the occasion. 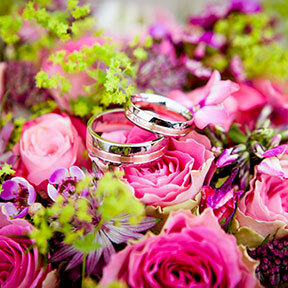 Make your event a day (or night) to remember with beautiful arrangements from Colonial Gardens. It will be a night they remember forever, and an eloquent flower accent is the perfect touch. 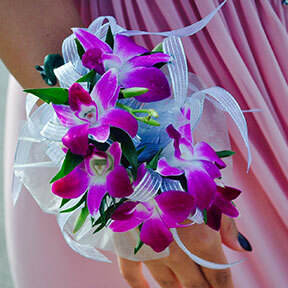 Our florist offers a wide array of made to order Boutonnieres, Wrist Corsages, and Hand-tied Bouquets. 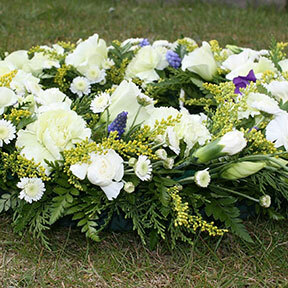 Here at Colonial Gardens we offer a variety of made to order Funeral Pieces and Grave Decorations. No matter what the occasion, our experienced Florist can create elegant and tasteful arrangements, memorable and fun floral visuals, or simple but beautiful adornments for you, your friends or your loved ones. Contact us today to find out more about how we can help with your landscaping, floral, or event space needs!